It has been a busy couple of weeks for our 4th graders. 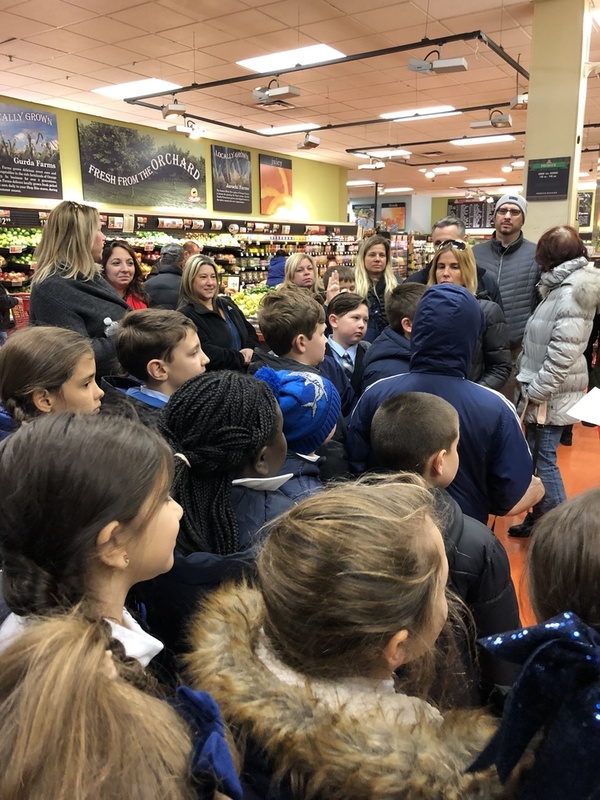 We took a trip with the 3rd grade to our local ShopRite store on Hylan Blvd. where students were taught about healthy food choices. They were able to go into one of the large freezers to see how cold they keep the ice cream as well as touch a live lobster. They were given the opportunity to taste some new foods and hopefully learned that eating healthy is the way to go. In Social Studies, students concluded their lessons on the Iroquois&apos; by building their own longhouse and comparing their way of life to life back then. In the upcoming weeks 4th grade will lead us in our monthly liturgy - which will be offered for all those remembered on our Memorial Wreaths. Mass will be held on Monday, December 17 at 1pm. All are welcome to join us in celebrating the Advent Season.